Still fairly quiet. There was an increase in wader numbers with 78 Dunlins and 65 Sanderlings on the beach and a juvenile Mediterranean Gull and two juvenile Yellow-legged Gulls also feeding offshore. A juvenile Cuckoo and seven Willow Warblers were new arrivals on the land. 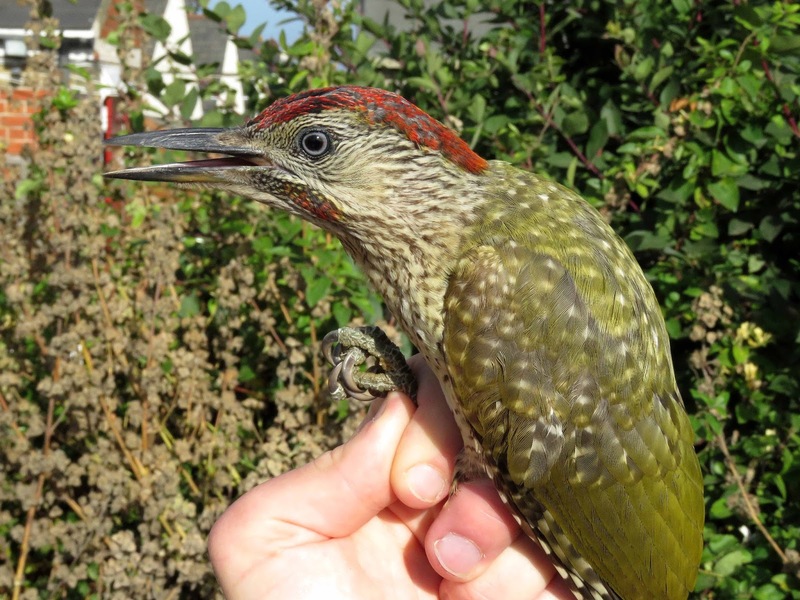 Just six birds were caught for ringing but they included this juvenile Green Woodpecker. Ten Porpoise and a Grey Seal were feeding offshore.